- China & World's Largest Online Chinese Painting Gallery. 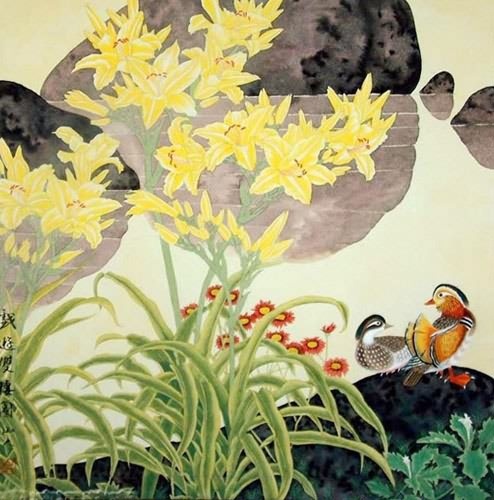 - Your Best & Trustworthy Chinese Paintings Supplier. 40%-85% Less Than Retail Prices! is a wonderful addition to my home. blessing to you in the New Year! Filling the form below to tell us your needs, like size, price, similarity, etc. Why does the artist love to paint it at 60%-95% similarity instead of 100%? They don't like painting two totally same paintings. They do prefer their every painting to be a unique creation. Secondly, they also like to surpass the previous when paint a very similar one. That makes their drawing full of joy and exciting. They normally won't thoroughly abandon their joy just for commerce purpose. Give them a new room to create something. They have confident the new would satisfy you. Any questions? Filling in the form to contact our Customer Service, let help you make the most of your time and money!